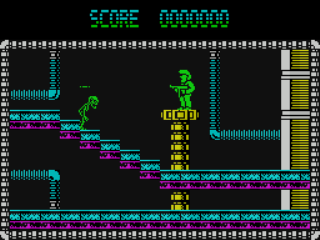 After recently playing Impossible Mission as part of my ‘Exploring the Commodore 64’ piece, I found myself remembering this little-known Spectrum budget title. Although it was a proper budget release, I originally received on a cover-tape provided by the ever-kind chaps at Sinclair User, which was nice as I probably wouldn’t have discovered it otherwise! So what has it got in common with the much more famous Impossible Mission? 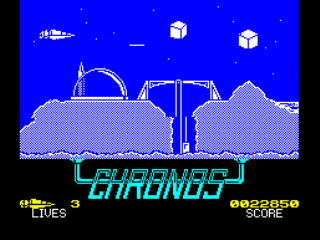 Well, besides both being flick-screen platform games, they both feature puzzles that I can’t work out how to solve! In the case of Deviants, the prologue explains that the titular race have been confirmed as the source of an attack on a colony world, ‘Krause’. A squad of ‘Star Warriors’ were sent to the asteroid from which the attacks originated to plant thirty bombs. However, their mission was only a partial success – they planted the bombs, but were killed before they could arm them. So, it’s your job to make your way through the asteroid complex and arm the bombs. 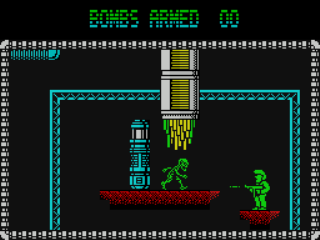 In order to accomplish your mission, you must locate and arm each bomb whilst avoiding or shooting the green, zombie- like creatures (presumably the Deviants themselves) wandering around, going about their dastardly business. The rapid- fire assault rifle-type gun you’re equipped with takes them out within a few shots (which sees them crumble to the floor in a pile of dust) but it has a finite supply of ammo, so keep an eye out for the extra ammo icons dotted around here and there. Contact with the Deviants reduces your energy level but luckily there are regeneration booths here and there too, which will top up your reserves. It’s the arming the bombs that I have trouble with, however. When you touch one, the screen switches to display six ‘activator valves’. Some are open, some are not. 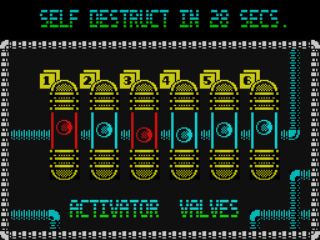 To arm a bomb you must open all six valves, but rather than make things simple, each switch is connected to one or more valves, so you must try and work out which keys to press to open which valves, and all within thirty seconds! The key to arming the bombs lies in deciphering the ‘logic puzzle’ of the valves. Unfortunately, I’m not a Vulcan and logic is sometimes an alien concept to me, so herein lies my only problem with the game. Even with having to stumble my way through the bomb sequences, however, this is still a highly enjoyable game. The graphics are really nice with several colours being used to good effect and it’s a big game too, with getting on for 200 screens of platforms to explore. 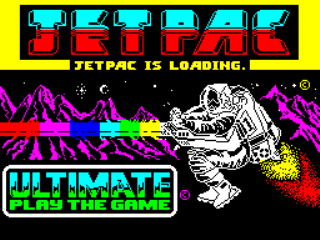 It’s very addictive as well – I remember playing this game a lot on my Speccy, but avoiding the bombs and just exploring and shooting the Deviants, so imagine how much I’d have liked it if I could activate the bombs too! Since rediscovering the game for this review, I have worked out the puzzley bits (kind of) and gotten addicted to it all over again! 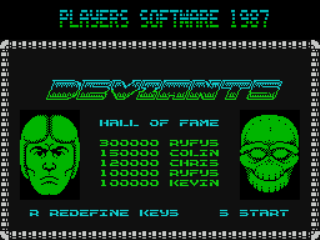 Considering it was originally released for a paltry £1.99, I’m surprised Deviants wasn’t better known. I’ve certainly played a lot of full price games that weren’t as enjoyable as this and it hasn’t aged at all. I’ve really enjoyed rediscovering this budget classic. 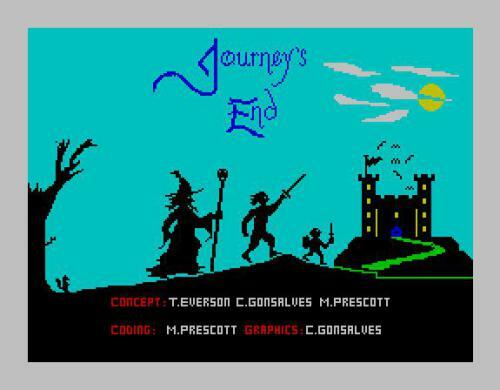 It’s not perfect by any means but it does what it sets out to very well and I recommend any Speccy fans reading this to give it a go.